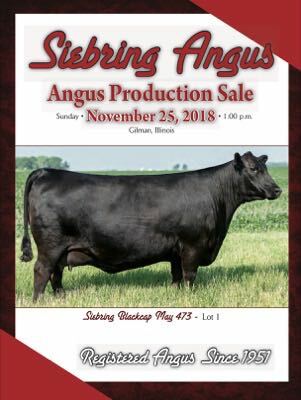 Sunday, November 25, 2018 - 1 p.m.
Siebring Angus was established in 1951, and is a third generation family owned and operated farm. We are located 80 miles south of Chicago and 30 miles west of the Indiana border in Danforth, IL. The philosophy behind our program is one with principal and discipline. We pay close attention to structure, phenotype, maternal traits, udder quality, fertility, fleshing ability, as well as “Performance”. We have always used the embryo transfer program to better our quality in a more timely fashion. Our goal is not the size of our herd, but more importantly the superior quality in our herd. In 2004 we made our first visit to Schaff Angus Valley, and immediately we were impressed by their cowherd. 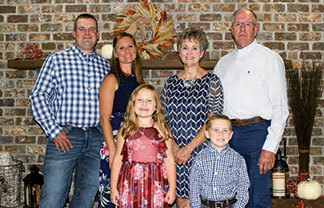 Since then we selected what we thought were the finest donors from the SAV program and went on to build what we proudly now call Siebring Angus. Our bulls are weaned in the fall and put on test through a genetic partnership with Schaff Angus Valley, Bismarck, ND, where they are then sold in their annual February sale. The after effect is a phenomenal set of females we have collected over the years to anchor around our program. 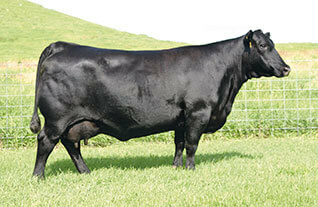 The cattle we are breeding are being recognized in all phases of the Angus breed. They are cattle that are bred for the commercial cattlemen as well as many top end seed stock programs. Great females and 100% customer satisfaction are what we pride ourselves on. Let us be your seed stock source for your next donor. Siebring Angus welcomes you to the farm anytime. 1943 N 400 E Rd. 2367 N 400 E Rd.